When the air conditioning broke in a TriBeCa apartment in New York City, the tenant left a message for the property manager, but didn’t wait around for a response. Instead, he checked himself into a suite at the Greenwich Hotel with a $2,900 a night price tag, and began faxing his expense receipts to the property management company. The management company’s co-owner, Michael Feldman of Choice New York Management, LLC deals with properties as diverse as New York City itself, with tenants paying from $50 per month under some age-old rent-controlled leases, to this tenant who was paying $8,500 per month. “Someone who can afford that kind of rent can actually be the hardest tenant of all to deal with,” he explains. In Feldman’s years as an asset manager overseeing over 1,000 units, he has found that some tenants are actually overqualified for particular rental properties, and that makes them a risk. “The problem is they make so much money that their rental agreement doesn’t really matter that much to them,” he says. That’s a tough tenant to have in NYC, where the tenancy laws are the most “tenant-protective in the history of civilization” according to Feldman. With such a diverse business, Choice’s property managers have to adapt tenant screening strategies. “Our tenant screening practices need to reflect the specific apartment, and the pool of tenants we have to choose from in each case.” Manhattan enjoys a low vacancy rate, especially compared to other U.S. cities in this period of high unemployment. Yet, Feldman suggests remaining vigilant with tenant screening regardless of the vacancy rate in your area. “I always forgo an applicant who gives me a bad feeling, even if it means a few more days of vacancy,” he says. Feldman’s managers always pull a credit report on an applicant under consideration to make a threshold determination on qualification. Feldman looks for good credit – but not too good. “I’d rather work with a 40% rent-to-income candidate who will respect the rental agreement over a wealthy candidate who may just walk away,” he says. The results of criminal background checks are also crucial to the tenant screening process. “We might look at a nonviolent offense from a long time ago,” he says. Generally, though, a criminal history is enough to reject a candidate. There is a zero-tolerance policy on eviction reports. “Working with someone with a prior eviction is out of the question,” he says. 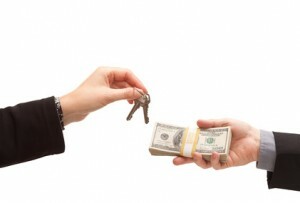 The advise in this article almost conflicts with “How to reject a Tenant (without getting sued).” I generally agree with this article, but you better have a substantive reason when rejecting a tenant, such as bad credit. I would guess that when processing 2 or more applications at the same time for the same unit, we’d have more discretion. Please apply the same disclaimer at the end of the article to this comment. “I always forgo an applicant who gives me a bad feeling, even if it means a few more days of vacancy,” he says. This is stated in the article. How do you legally “forgo” an applicant who gives you a bad feeling? With the current laws that you state this seems almost impossible if they pass a credit app, have no evictions or criminal history. In our interview, Mr. Feldman made the point that he always conducts tenant screening to find out what is really going on with an applicant. But, he also listens to his instincts if something doesn’t seem to add up. He is willing to pass on a candidate, or take more time screening them, even if that means a few more days of vacancy, because an eviction is so expensive. You are certainly correct that a landlord cannot reject someone because of preconceptions about the person’s race, disability, etc. — all those protected classes. However, there is nothing that prevents a landlord from rejecting a candidate if they suspect that the candidate may not be telling the whole truth, or if they are simply too difficult to work with. Take the time to be confident that the person is a good fit. I am a tenant that is seeking to move to a better place to live for my family size. We do not necessarily qualify for a home loan because we are fixing our credit after a bk7. We have been denied before our bk7 for not be qualified for a rental due to our income not being enough. This time around, after building our credit, making payments on time, getting out of homelessness and then obtaining a stable job that pays well, we are denied for being “overqualified” for too much income. The is the first time my husband and I have been denied for being “overqualified” due to income. All we are trying to do is live in a bigger apartment (family size 7) or rental home that is big enough for our family. Now that we can afford a nicer place to live, we get denied left and right. Looks like to me that rental companies are too picky. Seems to me that you need to be making “just enough” to get by, but, not too much, because you are a risk. If you didn’t make enough income, you didn’t qualify at all. This rental property denied us because my husband makes too much money and we are trying to get into a 4 bedroom that fits our family. That is why they are denying us, on income being too much. What gives?! !